Denton, Patricia Jo Scroggins (29 Aug 1932 - 27 Jan 2013) . Hicks, Cheryl Lynn (Spann) (12 Feb 1953 - 22 Jan 2013) [51532:C]. Daughter of Scroggins, Alton, Sr. () . Lackey, Wayne (25 Jul 1925 - 20 Jan 2012) [51544:S] . Son of Scroggins, Jennie Viola (Lackey) [30413:S, FaG #44988223]. Scroggins, Bobby Francis (19 May 1935 - 2 Jan 2013) . Scroggins, Clinton Lee (6 Feb 1955 - 13 Jan 2013) . Scroggins, Clyde Lyndon (12 Jul 1921 - 8 Jan 2013) [35716:B]. Scroggins, Patricia Jo (Denton) (29 Aug 1932 - 27 Jan 2013) . Spann, Cheryl Lynn Hicks (12 Feb 1953 - 22 Jan 2013) [51532:C]. Scroggins, Viola Carey (24 Feb 1927 - 3 Jan 2012) . Scroggins, Viola Carey (24 Feb 1927 - 3 Jan 2012) [41855:N] [FS:]. Wife of Scroggins, Reedy (21 Jun 1924 - 12 Jun 2001) [12990:N] [FS:]. 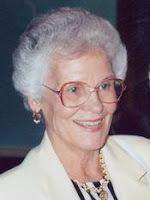 Scroggins, Florence Lucille (Woods) (24 Mar 1924 - 1 Jan 2013) .